If you’re looking for Windows 10 Photo Viewer alternatives then you’re on the right page. Windows 10 offers a number of benefits over its predecessors, including improved boot and wake-from-sleep times, the ability to run Universal apps, the Cortana voice assistant, and Xbox game streaming. Here, we’re giving you 10 best Photo Viewer for Windows 10 that you can use in year 2018. They have almost everything upgraded from its predecessor. Meanwhile, there is a photo viewer which is the built-in app for viewing your photos in windows. It supports almost every available format, but it has confused its users by the second viewer called Photos. It’s pretty simple to use and shows one photo at a time. Now, if you have upgraded to windows 10 and wants to change photo viewer app, then we’re giving you 10 best photo viewer apps for windows 10. These photo viewers are quite simple to use and give you better features like opens your image very quickly, optimize your photos and much more. So, if you’re bored with inbuilt photo viewer then go ahead and choose the best alternative for Windows 10 photo viewer. These are some best-handpicked windows 10 photo viewer application which you can use to boost your photo viewing experience. A third party tool which is giving you extraordinary features which you’re missing in the built-in photo viewer. The application easily supports more than 500 image formats which separate it from other applications. You can use more than one language, which increases the possibility of understanding the proper functions of applications. Though, it gives you slideshow feature and basic editing tools like cropping, rotating and resizing as you do on Windows Photo Viewer. Apart from these things, you can use this application on Linux and other windows operating systems. Another completely free software with amazing features and functions. Nomacs not only supports Windows 10 but almost every other windows operating systems. It supports nearly all the image formats which include Raw formats. You can open metadata, thumbnails, and histogram if your image contains. On the other hand, it allows you to browse zip or Ms. Office files very quickly. If you want to open multiple images, view photos in the slideshow, it supports all of these features including basic editing tools. So, it’s one of the preferable alternatives of Windows 10 Photo Viewer. 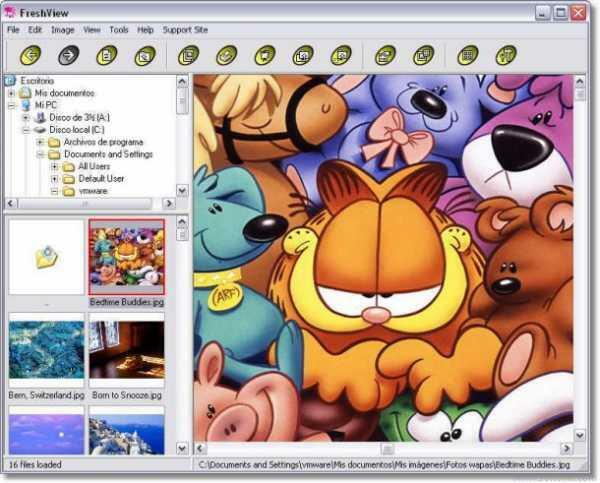 One of the oldest photo viewer software for windows which is incredibly easy to use. The developers have been working for a long time to cater the windows users, and now they have made the latest version of Windows 10. The application opens your images very quickly and without slowing down your pc. Meanwhile, Irfan View gives you basic editing tools including cropping, resizing, red-eye and much more. You don’t need to worry about file formats, it supports nearly all image formats. A reliable software which can be used for all- purpose like you can use it as an image browser, image editor, and image converter. The software opens large image files without lagging, even it allows you to edit your image with tools for cropping, rotating and resizing. For professional level editing, here you’ll get different effects and transitions and also multilevel undo or redo on your image. Above all, unlike other software, it gives you slideshow effects with musical transitions. Imagine, a light software and great alternative for windows 10 photo viewer. Like other above-mentioned software, Imagine opens images very smoothly and looks very simple to use due to an intuitive interface. The software is available in both 32bit and 64bit version. You can create animations, edit images and view your images together in a slideshow. You can work with every image formats without any issues. The software supports Metadata which includes EXIF, IPTC, Geo TIFF and many others. If you have to open a RAW file, then this software is best available photo viewer in this league. The software supports various plugins which increase your chance to use your raw files. One of the more interesting features of DIMIN Viewer n5 is batch conversion and batch file renamer that allows you to easily convert multiple images or to change their names automatically. So, you can use this application for Windows 10 if you’re interested in photo viewing and be editing too. The application supports and opens 70+ image formats with ease. It was very clean and simple user interface which helps you to drag and drop your picture folder into WildBit Viewer very easily. Uniquely, the application allows you to compare two images simultaneously side by side. And what one can say about slideshow view, you can create custom slideshows with 176 different transition effects. Though, it supports all the standard and widely used image formats. More than image viewer, Pictomio is image organizer which allows you to manage both pictures and videos. The application gives you EXIF editor which helps you to edit and save metadata of your images. Meanwhile, the software like others on the list supports all the image formats. It has a 3D carousel which would visually engage you, so overall the software is a complete package and you can give a shot. The application gives you an opportunity to organize your pictures, music, videos and various HTML files. It supports more than 80 image formats but developers are adding every day something new on the list. It’s impossible to talk about every feature but one thing I can assure you if you feel that Windows 10 Photo Viewer isn’t working well with your need then you might like this application. ACDSee is optimized so well that all its features cannot slow down your user experience. It supports more than 60 image formats including gifs. Though, it gives you basic editing tools and helps you to manage and share images with your friends or family. Now, the thing which isn’t favorable for you is that you’ll have to pay a good money to use this software. Here’s your list of best Windows 10 Photo Viewers. These were some of the best photo viewers for Windows 10. If you want to get the distinctive experience of image viewing, just download any of these mentioned apps. If you have anything to say about the article, leave a comment below. Your suggestions are valuable for us.